The 14 Best Rainy Day Activities to Do in Wisconsin! It isn’t uncommon for any given city in Wisconsin to rack up well over 100 days of rain per year. With over a quarter of the year seeing some sort of downfall of precipitation, gaining some rainy-day activities insight sounds like a great plan. Check out our favorite rainy day activities around you. Vitense Golfland in Madison, Wisconsin, is perfect for spending a few hours out of the rain. They have an indoor mini golf course, remote control water boats, and arcade. On top of that, grab a bite to eat at the Signature Hole Grill and a quick drink at their bar. Get lost in the wave pool at Chula Vista Resort and Waterpark. They have both indoor and outdoor areas, lazy rivers, water slides, mini golf, spa packages, cabana rentals, and much more. The rooms are clean and have exactly what you and your family needs. Not only watch a movie on the big screen at your local movie theater, be entranced by the IMAX screen at the Fitchburg AMC. This theater gives your movie an intense experience as soon as the light go down. The curved screen and exceptional clarity gives it a leg up on the other theaters. The Fox River Mall is a large shopping mall located in Appleton, Wisconsin. Grab a good bite to eat and brew at the Fox River Brewing Company located at the mall before you spend some time shopping. From classic department stores to boutique shops only found in the Fox River Mall, it is a great place to spend a few hours on a rainy day. Catch a break from the rain by walking around the Milwaukee Art Museum. They have seasonal exhibits and classic collections that draw in quite a crowd—even on a sunny day. The museum is open year-round but has a heavy admission fee for adults, but well worth it. The Madison Ice Arena is open year-round to the public. Public skate is however limited to certain hours of the day and week but the ice rink can be rented out for gatherings and parties in advance. Show off your skills on the rink for a small admission fee. Take a break from the pitter patter and visit the legendary New Glarus Brewing Company in New Glarus, Wisconsin. Not only that but take a tour of the historic brewing warehouse. Sign up for the hat hard tour or take a self-tour around the place. The tasting room is also available for a price. Kick back and relax to the sound of raindrops at the Sundara Inn and Spa in Wisconsin Dells. Their menu includes: Salon, facials, massages, body and bath treatments, and of course their multiple spa packages. Stay for the service, the night, or a weekend at their beautiful establishment tucked away in the woods. The Middleton Sport Bowl is a family-owned bowling alley in Middleton, Wisconsin. Bowling is a great way to beat the weather and knock a few pins down. They have weekly food specials and a popular bar. Watch the game on their HD TVs or rent a room for a pre-planned party. The Old Fashioned is famous for many things known for Wisconsin. Besides the cheese curds and the beer, catch an Old Fashioned at The Old Fashioned right off the capitol square in Madison. Dodge the rain and enjoy all things great in Wisconsin all from Wisconsin. Submerge yourself at the Discovery World Museum in Milwaukee on Lake Michigan. The science and technology center is a great place to get the mind spinning on a rainy, dull day. Exhibits include: Reiman Aquarium, Simple Machine Shipyard, The Music Factory, Physics and You, Energy and Ingenuity, and many more. Volunteering is a great way to give back to the community and for a great cause. What better way than to help at any of the three Wisconsin Humane Society locations. All forms of help are appreciated even if it is donating the necessary supplies that the shelter needs. The PaintBar is located in both Delafield and Madison. 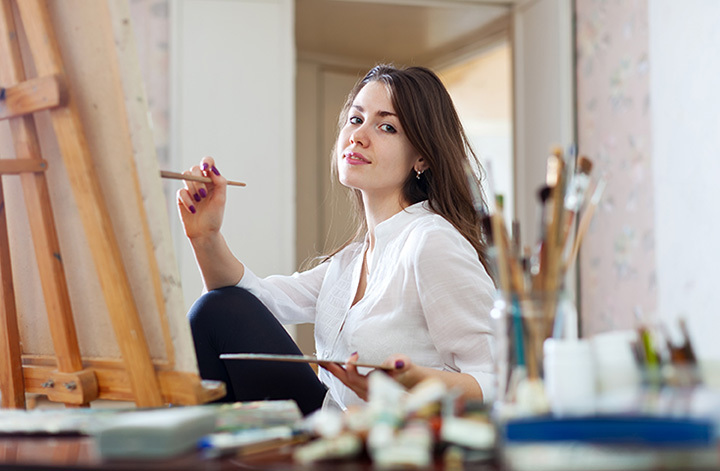 Enjoy three flights of wine while painting a pre-chosen, fully guided canvas art class. There is food available for separate purchase. Check out their website to pick a night that works for you and which art project you will be painting. Channel your inner Picasso. There’s nothing better than curling up in the comfort of your own home on a rainy day getting caught up in a good book. The Milwaukee Public Library is one of the largest in the state with an exceptional variety of genres and titles for all readers and reading levels. View more Wisconsin Rainy Day Activities.